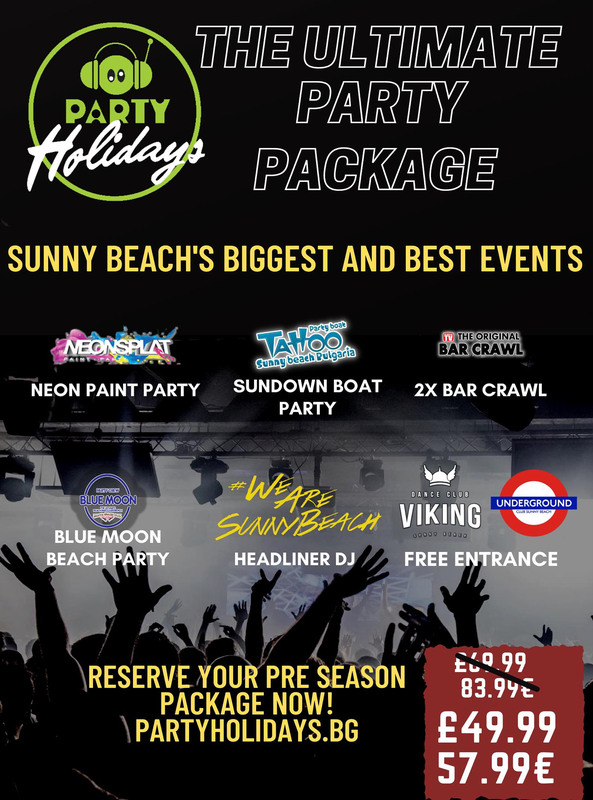 Our 2019 Party Package includes the best events, parties and clubs in Sunny Beach. 8 top events included plus the amazing 40% discount card that will save you a fortune! 40% discount can be used in numerous restaurants and bars throughout the resort plus the card gives you free entrance to the 2 biggest clubs in the resort. Massive money saver! Receive 40% discount in numerous bars and restaurants throughout Sunny Beach. If that wasn’t enough also receive free entrance to the top 2 clubs in Sunny Beach. Events & Parties included in the package.